This map was always hard for me to play, because of the strange layout. My favorite Dom maps [Dom-Saturday, for example] usually have 2 points close together, and I ignore the others and let the bots kill each other. This map's not in my rotation. 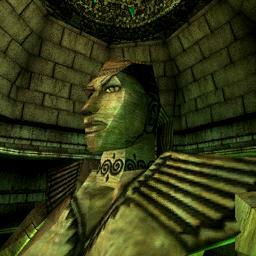 This map is playable and the statues look interesting. Map is worth a try imo, even if it won't appeal to everyone.